A recent trip to Aurora town in Zamboanga del Sur, bordering Lanao del Norte, took Tutubi on a short tour of Ozamiz City, a bustling city of Misamis Occidental, took a surprising turn when he found the Ozamiz City cathedral looked very different from the pictures he saw on the Internet. 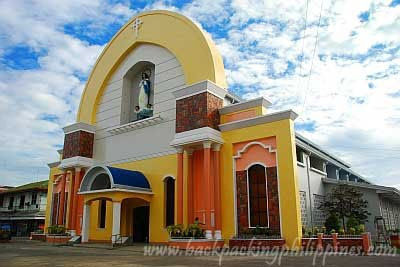 The Cathedral of Our Lady of Immaculate Conception's colorful facade, visible on the city's main road. The cathedral draws the religious on pilgrimages and also attracts curious tourists looking to get a view of the Philippines' second largest pipe organ. There will be an upcoming post on Ozamiz City attractions, hotels and the usual tips for this city with not so many online information available. That's a very colorful facade for a church ! Interesting. The bamboo organ makes it a must see place. galing! hindi ko alam na meron pala sa mindanao na ganyan. nice post tutubi! gives us a nother reason to go there. 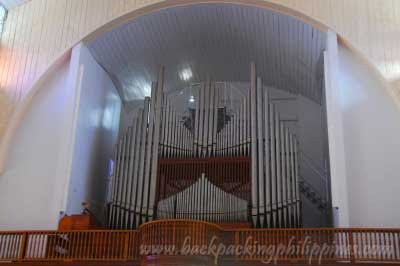 I've heard of that pipe organ pero I've yet to absorb its majestic view in reality. What a creative façade of a Cathedral and it was really beautiful inside too - thanks for sharing! The church colors are atypical of a church, parang mall ang dating. Anyway ang ganda naman sa loob. I have a funny feeling everytime I click something on your blog you get paid. ung first pic galing ng pagka capture dinagdagan pa ng clouds... ganda! Wow, that is one impressive looking church building and a state of the art pipe organ as well! never got used to churches with modern colors. I'm doing a paper on the churches of Locsin and I was wondering if you would let me use your pics of the Ozamis Cathedral. I would acknowledge you of course. Please let me know if this is alright. Thanks! im from ozamis city.the facade of the cathedral has been very controversial.most people do not like it claiming it looks like jollibee and/or a mall. 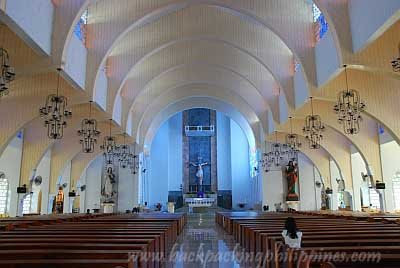 The parish also involves itself in some financial controversies like spending money for the renovation of the church wherein its employees claim they're underpaid; priests live extravagant lifestyles some of them own luxurious vehicles and lastly, the church supports kuratong baleleng founders which people believe give financial support to some of the priests. I work for the office of Leandro V. Locsin, and seeing what they did to this Church is heartbreaking.